At Classic Roofing and Windows of Windsor, our extensive residential roofing experience has allowed us to become the roofing expert you can count on. Our team of highly-trained roofers has been performing quality construction on homes in the Windsor-Essex County area since 1988. We employ only the most knowledgeable employees who will treat your home as though it is their own. Our work is completed with efficiency and minimal disruption to you or your neighbors. All permit requirements, home association guidelines and municipal by-laws will be strictly adhered to. When work is complete, your property will be left in pristine condition that you can be proud of. Visit our residential roofing gallery. Classic Roofing and Windows employees have been part of the construction industry for a long time. 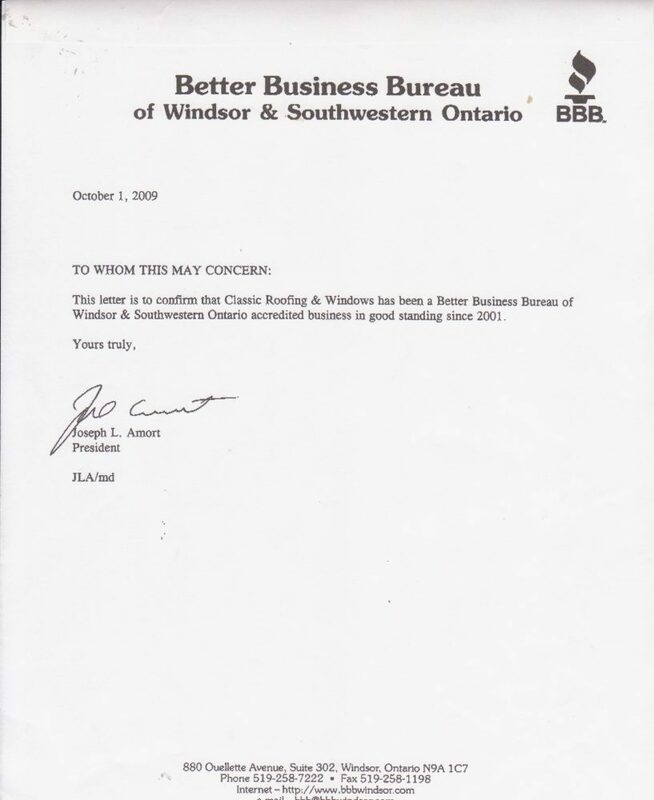 We have worked closely with many of the general contractors in the Windsor and Essex County areas. Your new roof is a special investment. It not only has to match the quality and beauty of your new home, it must also protect the rest of your investment. Everything below your roof must be shielded by it. If your new roof is not constructed properly, extensive damage can occur to the roof structure, as well as the structure of the home below it. We offer a wide variety of materials and styles for the composition of your roof. Shingles and roofing tiles come in many different colours and textures. We will help you choose the best product to match the style of your home. Our installation methods will ensure that you receive the highest efficiency rating possible from our products. A leaky or damaged roof can be extremely stressful. If repairs are not performed immediately, you risk further damage to the roof structure and the interior of your home. 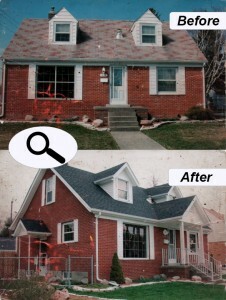 We will make immediate repairs to the damaged portion of your roof in order to prevent further deterioration. Once the condition of your home is stabilized we will discuss the condition of your home to determine if you need re-roofing or other preventative measures for your added protection. If you notice that your roof may be in need of repair or just feel that it is time to replace a worn roof, call us immediately. 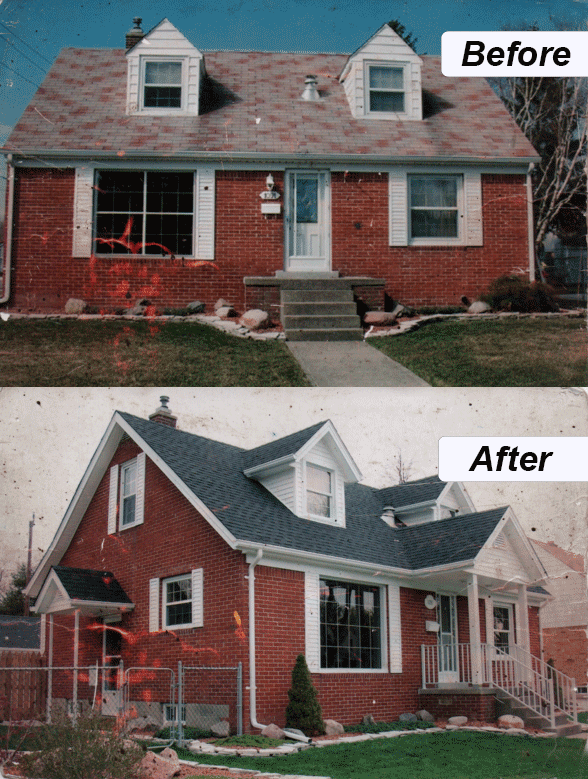 Putting off roofing repairs will only result in a much higher cost later; to your home and your peace of mind. For more than 25 years, Classic Roofing & Windows has been trusted by Windsor area homeowners for high quality work and dependable service. We have an A+ Rating with the Better Business Bureau.